Help us show students all the possibilities! 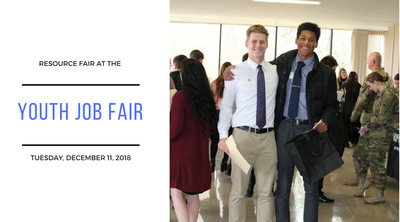 Please join us on Tuesday, December 11th, 2018 at Linn Benton Community College for the Albany Chamber Youth Job Fair. We are seeking organizations and representatives to participate in the Resource Fair and share about career opportunities after high school. Let students know what you have to offer and what it takes to get there. Over 1,200 students from 10 different Linn County high schools attend the Albany Chamber Youth Job Fair each year. These students will hear a keynote speaker, participate in mock job interviews and attend the Resource Fair. We are seeking representatives to share about career options after high school. Students attending are interested in learning about career training, future employment, and post-secondary educational opportunities after high school.